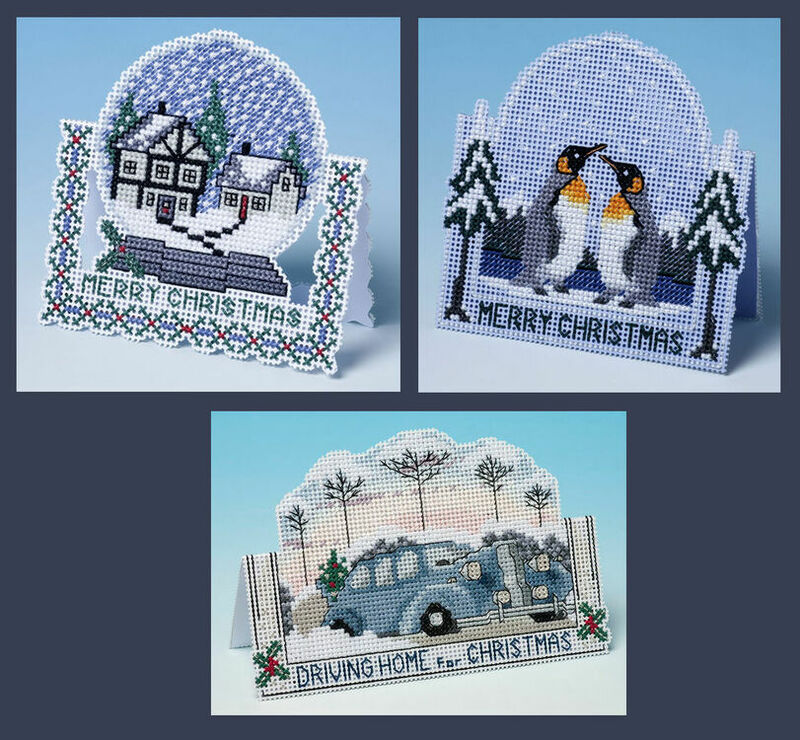 There's no better way to get into the Christmas spirit than stitching a 3D cross stitch card kit to spread some festive cheer. 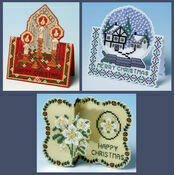 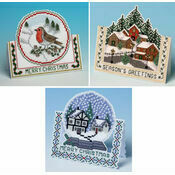 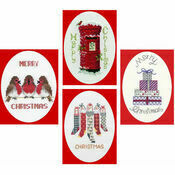 This set of 3 includes 3 of our favourites, including the Snow Globe, Penguins and Driving Home For Christmas designs. 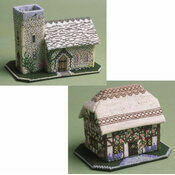 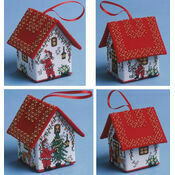 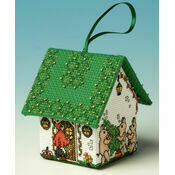 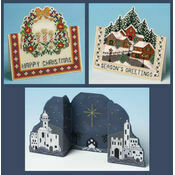 Each design has a sprinkling of magic and a wonderful design that is a delight to stitch. 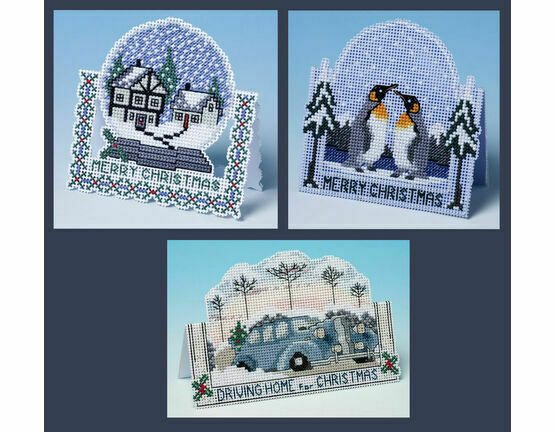 3D cross stitch card kits are easier than they look to make, simply stitch, stick and send the card - it's a Christmas card with a difference! 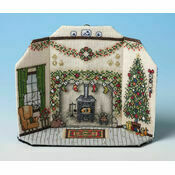 Kit Contains: perforated stitching paper, stranded cotton thread, envelopes, needle, chart and full instructions. 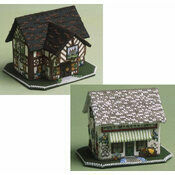 Size: Ranges between 9.5cm and 10.5cm tall.